The Wells Fargo Community Mural Program celebrates the history and diversity of local communities by creating custom murals for Wells Fargo branches. 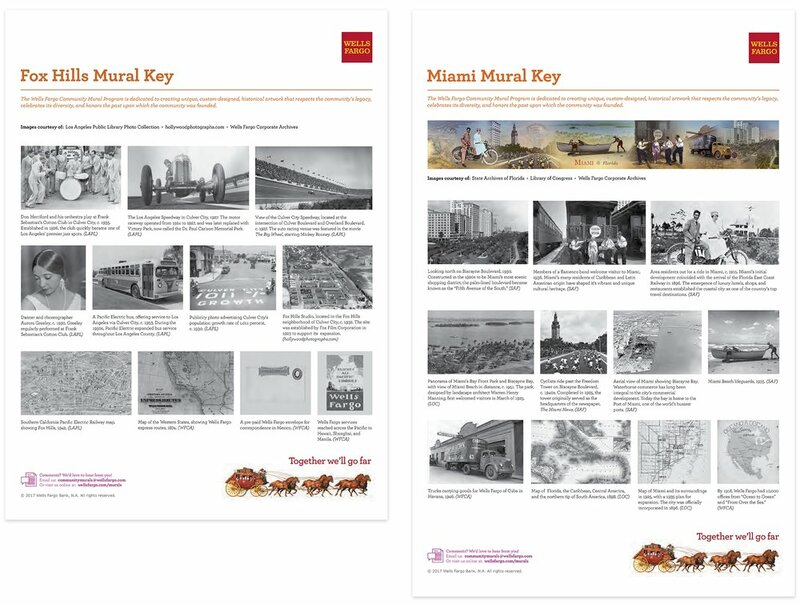 I collaborated with researchers in designing murals for banks across the country to tell communities’ stories through historical photographs and documents. I also designed legends explaining the significance of each image.